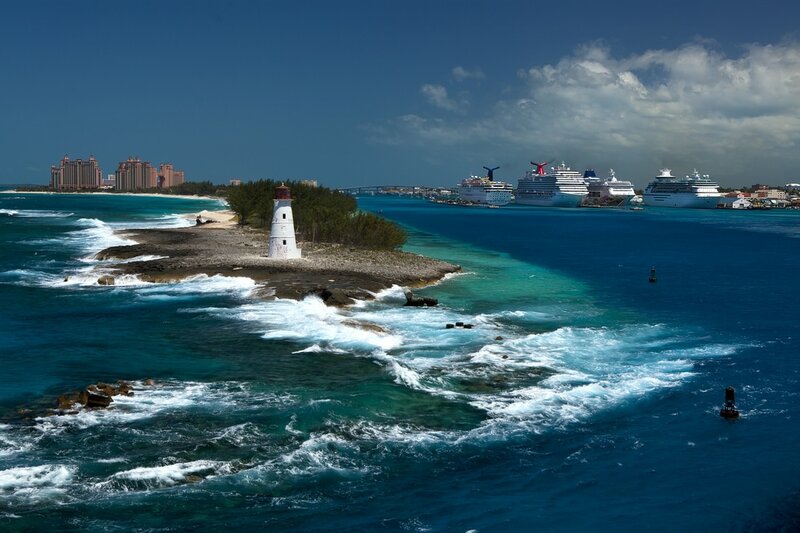 ​The Bahamas is composed of 700 islands just 80km off the coast of Florida. The archipelago is an ecological oasis with some of the clearest water on the planet and the world’s third largest barrier reef. It is steeped in the history and traditions of the sea. From 1492 when Christopher Columbus first discovered the islands, through the 17th and 18th centuries which saw the Bahamas dominated by pirates, to today’s vigorous tourism, financial and maritime centre that it has become. For such a small country, the Bahamas has plenty to offer to foreign investors. Its pro-business environment, stable government, and highly-trained English-speaking workforce — not to mention breathtaking sea and landscapes. Here are a few of the other reasons the Bahamas has managed to become so successful. With direct international flights flying out of five airports in the Bahamas, investors can easily reach North American and Latin American financial hubs. It is just a 45-minute flight away from the United States, the worlds largest economy. London is a 9 hour flight while Sydney is a 19 hour flight. Being in the same time zone as New York and Toronto helps investors stay connected to major financial markets in real time. With an average of 340 sunny days a year, the Bahamas is a year-round destination for living, working and tourism. For more than 280 years, the Bahamas has had a parliamentary democracy, along with a peaceful and steady economy which makes it one of the most stable countries in the world. It was a British colony until its independence in 1973, and is a member of the Commonwealth of Nations. The Bahamas is a constitutional monarchy with HM Queen Elizabeth II serving as the Queen of the Bahamas. One of the most appealing aspects to doing business in the Bahamas is the fact that there are no personal, capital gains, inheritance, or dividends taxes. The only corporate tax is on revenue derived from within the Bahamas. There is, however, a VAT of 7.5% on most local goods and services, as well as payroll taxes, though even with those, the Bahamian financial system provides significantly reduced tax expenses and minimal red tape. To qualify with foreign investor status a minimum investment of BS$500,000 needs to be made. The Bahamas dollar is pegged to the US dollar on a 1:1 ratio. Investor’s are able to apply for Permanent Residency, which provides entry into the country for the investor and his family. Alternatively purchasing real estate of a minimum value of BS$500,000 qualifies investors for Permanent Residency also. The Bahamas are known as a financial leader in the global marketplace, with its 400 plus licensed banks and trust companies. Its assets under management total around US$200 billion. The World Bank world bank has rated the country as the most economically prosperous Caribbean Community country. Bahamas’ tourism is on the rise. Expedia, the world’s largest online travel company, recently stated that bookings to the Bahamas increased by 20% during the 2016 third quarter. Over 5 million tourists visited the Bahamas in 2016. An impressive figure for a country of approximately 370,000 people. About half of the country’s GDP relates to tourism, which provides employment for more than 50% of the country’s workforce. Offshore banking and investment, construction, and fisheries drive the rest of the economic activity. With pro-business legislation, a well-developed transportation infrastructure, strategic location close to the United States, as well as an ever-expanding tourism industry, growth in tourist visitor numbers is projected to continue.